And here we are again, still stuck in ’00s, hearing the bright sparks of ska bands that refused to throw in the towel, just because mainstream taste-makers did. 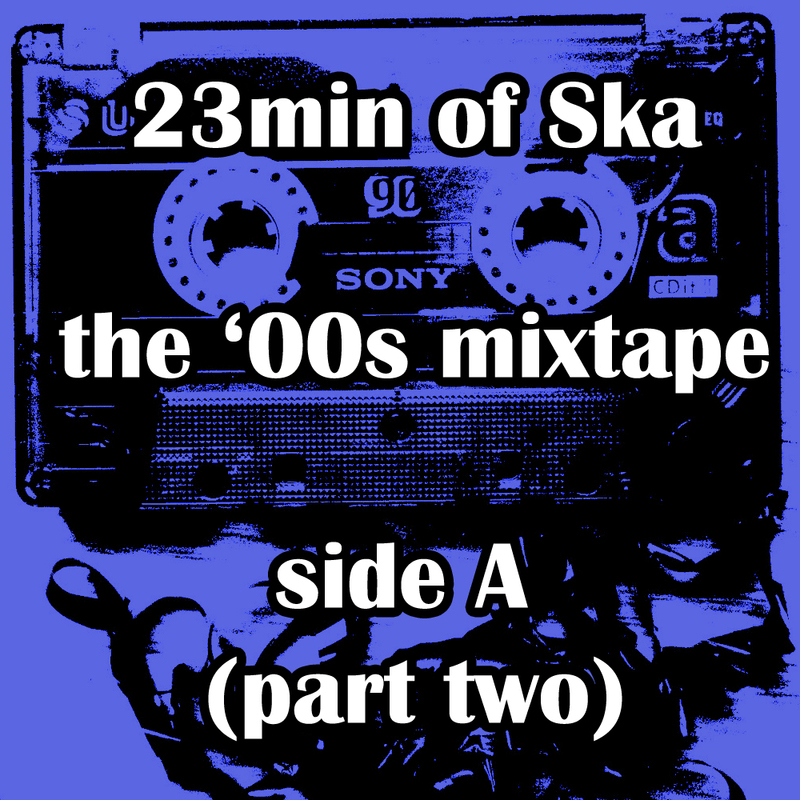 I won’t lie to you, during much of the early ’00s, I didn’t abandon ska music, but I got much more insular and into the bands in the Midwest at the time before moving out to LA half way through that decade and trying to catch up w/ the ska that was going on in the world at the time. I feel as if I am still playing catch up, but I loved my local ska bands so much I wanted to give them all the support I could, sorry world ska scene, I’m learning and making up for it now! And this concludes side A of the 90min ’00s mix tape. 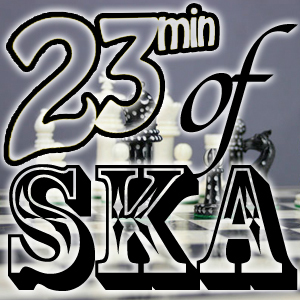 Find & like 23min of Ska on facebook. Also, feel free to download this episode. Ska is better on vinyl. Hit up Grandpa’s Casino Recordings, we don’t have any cassettes, but we have some great vinyl records! Coming at you with a new episode. I like these songs. I don’t have much to say other than how much I dig these songs! The first two bands (the Dropsteppers & the Pinstripes) are from the Midwest, where I once called home and they really bring the ska style back to its roots. Then we have the Backyard Superheroes w/ a song off of their yet to be released EP! The Snails have been putting out constantly great music for a while now and it is about time I have one of their songs on the podcast. Likewise, Small Town Get Up have been throwing it down for a time up in Canada and really need to be heard! Sonic Boom Six, if someone described their style and what they do with the ska beat I think I would say “pass!” and that would’ve been a mistake. So if you haven’t heard them I’m not going to try and prep you to them, just enjoy it. Finally we end w/ a classic track from the Insteps. So there you have it, a well rounded, new to older 3rd wave goodness w/ everything in between. Hey, be a pal, check out these ska records that I’m making over at the Big Ska Gamble!